For the new Canon EOS DSLR photographer the extensive range of compatible lenses, lens characteristics and various creative applications can be an absolute mind-bending experience. 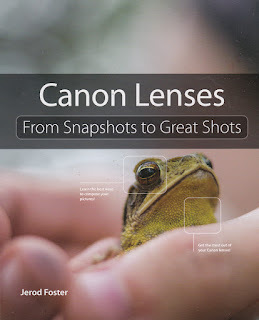 Acquiring this book made me more aware of not just the broad selection of Canon EF / EF-S lenses, but assisted a great deal in understanding the specific characteristics and [genre] application for the different Canon consumer and professional DSLR lenses. 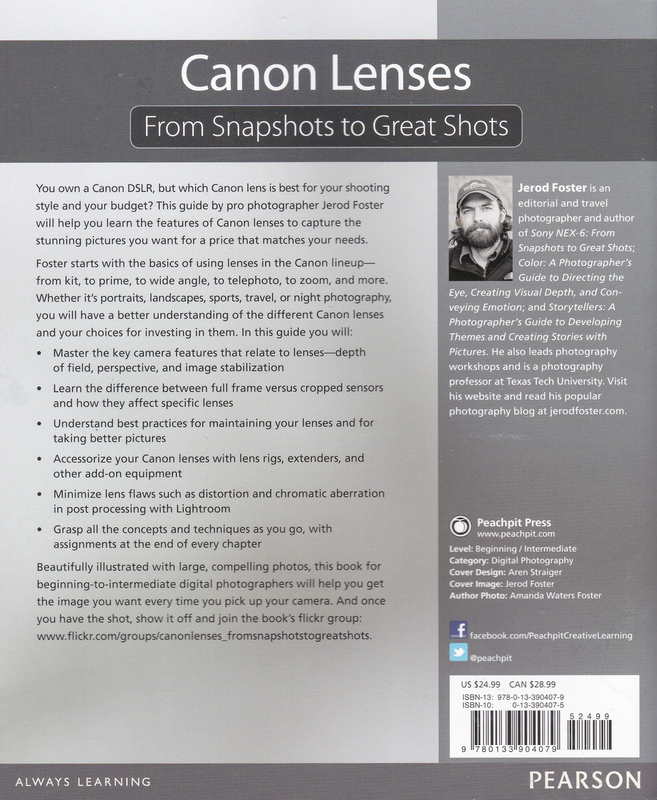 This book is highly recommended for any [new] Canon EOS APS-C (crop) and / or Full Frame photographer who needs the low-down on Canon's current consumer and professional lenses. 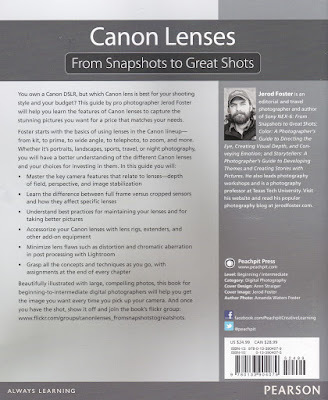 Canon EF / EF-S lenses are an integral part of the Canon EOS DSLR system and this 250+ page guide book should be of informative value to all current or prospective Canon EOS camera and lens owners (for increasing knowledge and skills of the interchangeable / scalable Canon DSLR photography system). 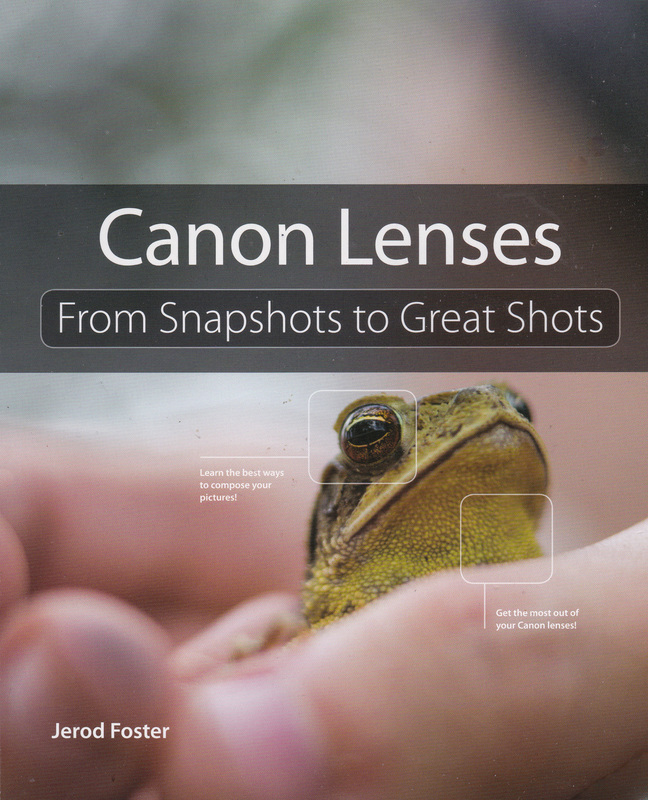 This well-illustrated book is a great deal more than just assisting the photographer with Canon lens classification and purchasing decisions, but is also a comprehensive guide for understanding Canon's consumer and professional lens range, photography genre application, characteristics, specifications and visual controls. A selection of lens accessories (teleconverters / extension tubes / filters) and best practice techniques are also comprehensively covered.